The country of Peru is quite diverse and visitors will find themselves amongst mountains in one area and on the shore of the ocean in another. The one thing that will not change throughout the country is the amount of activities that are available for everyone. Machu Picchu is one of the seven wonders of the world and everyone will want to have this attraction on their must-see list for their visit. This Inca city was lost and unknown for many years before being rediscovered back in 1911. The climb to the ruins can be a little difficult as the pathways are narrow, but the first glimpse of the ruins makes that climb worthwhile. Cusco is the heart of the country, just like it was at the center of the Inca Empire. There are a few museums, amazing architecture, and multiple ruins to see everywhere. One destination that everyone must go to is the Cusco Market, because there is so much available in this humongous space. Lima is the capital of Peru and there is a long list of amazing sights that everyone must see. However, the best part of this city is the nightlife and the Parque de la Reserve, which is a water fountain park that is illuminated with laser shows at night. This is another Inca ruin that people must see while they are in Peru. 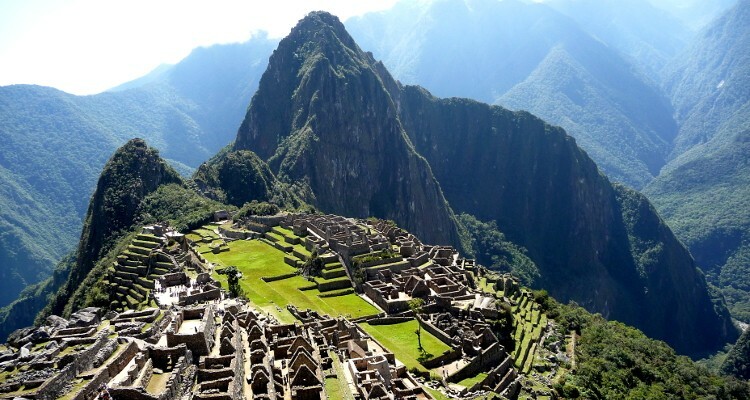 This one is quite close to Machu Picchu, so it is possible to combine them into one trip. These ruins are in the place where the Incas had their biggest stronghold after the Spanish invasion and it still looks just as strong. This is South America’s version of the Grand Canyon and it is within the top three tourist destinations in the country. The depth of this canyon reaches down 3,270 meters and people will once again be able to see the infamous Andean condor when they visit, thanks to all the preservation efforts that have taken place over the years. Pisac is in the Sacred Valley and many people begin their day exploring the Inca ruins throughout the town. After that, everyone heads to the large market to shop for both food and souvenirs. The Nazca Lines are ancient geoglyphs in the Nazca Desert. They can be difficult to see unless a person is up in a plane, however, some of them can be seen when standing on the surrounding foothills. This oasis may be small, but most people feel like they are in the Sahara when they are visiting there. The oasis is the perfect destination for people who want to attempt to go sandboarding or dune buggy riding. The Inca Trail follows the same path that the Inca used when they traveled to enter the citadel. It takes approximately four days to walk the trail completely, plus everyone needs to have a ticket and be with a tour company to do it. Many of the people that trek along this path are headed to Machu Picchu. A ritual water garden is the best description for this beautiful and amazing sight in Peru. The twelve terraces are below a water temple that then channels the water down and through the terraces. Tipon might not be a well-known Inca site, but people should take advantage of that fact as they are visiting. The tranquility and serenity of the flowing water can be a wonderful and meditating experience for many. Lake Titicaca is one of the most navigable lakes in the world at 3,812 meters above sea level. It is also where the indigenous Uros people live on artificial islands that they built out of local reeds. This island is another one that can be found on Lake Titicaca and it is also a UNESCO World Heritage Site. Male knitters live on this island with none of the comforts of home like electricity or running water. They live traditionally like the Aymaras did and anyone who visits will feel as if they stepped back in time. Another unique feature on this island is that no cars are allowed. The entire Amazon Rainforest is not in Peru, but the upper regions are. Everyone should take some time to explore the Amazon River to see if they can catch a glimpse of the pink dolphins or the elusive tapirs that call that region their home. The Maras Salt Mines have been around just as long as the Inca people and they are quite the sight to see. Salt has been taken from the salt evaporation ponds for thousands of years, which means that these mines have been around longer than even Machu Picchu. The ancient Inca site of Moray is not too far from the Maras Salt Mines. The circular ruins have multiple levels and each one has a different micro-climate from the others. Archeologists that have worked in the area believe that these ruins were used for a ritual garden or agricultural laboratory in the past. The Andean Explorer takes passengers from Cusco to Puno in approximately ten hours. It is one of the ten amazing train journeys that are available in Peru and those journeys are the best way to see and capture the breathtaking beauty of the countryside. Remember, there is more than mountains and valleys in the country of Peru. The shoreline has amazing beaches where visitors can sit down on the sand and relax, before catching some waves and surfing. One of the best beaches in the country is Mancora Beach. Chan Chan is the largest pre-Columbian city in South America and it was declared as a UNESCO World Heritage Site back in 1986. Chan Chan encompasses approximately twenty kilometers of space in one of the most arid sections of the country. This ancient city in Northern Peru dates back to the 6th century. The four hundred buildings are surrounded by a large stone wall that climbs nineteen meters in the air. Visitors can learn a lot about the Chachapoyas culture, as they are the people who lived in the area when this was built. Rainbow Mountain sounds like such a beautiful destination and people will find it nestled in the mountains of Ausangate. Anyone who hikes this mountain will find themselves rewarded with views from the summit as well as sightings of the abundant alpine wildlife. Visitors could easily spend a month or more exploring the country of Peru. After all, Peru is filled with history, ruins, nature, and much more, so no one will ever be able to say that they are bored when they are there. Instead, people will become intrigued with what they are seeing and experiencing, which will encourage them to delve deeper into what is available in this magnificent country.